Do you have a crack or chip in your windshield? We've got you covered. 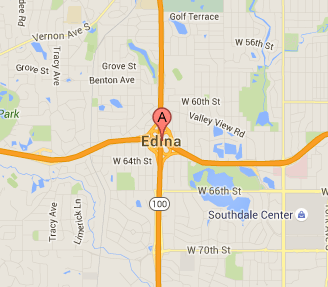 Auto Glass Express proudly serves Edina with our large mobile fleet and auto glass technicians. We will come to your vehicle at work, home - wherever you'd like to meet. We also service all makes and models. We can come to your car in Edina with our mobile windshield service. We've been in the business for over 20 years and we are proud to be a BBB A+ rated company. We're also approved by all major insurance carriers and hold an AGRSS certification. Auto Glass Express can also help you file your insurance claim. If you don't have insurance or full glass coverage, we always offer affordable prices. We take pride in our outstanding customer service and excellent installation. Give us a call today and we will take care of the rest! Use our easy, quick online form to schedule service or call us at 651-494-9252.